Today’s reality is that your organization will continue to be confronted by increasingly frequent and complex cyber threats. The Threat Lifecycle Management Framework (TLM) is a series of aligned security operations capabilities. It begins with the ability to monitor and search across your IT environment and ends with the ability to quickly mitigate and recover from security incidents. The result? Faster time to detect and time to respond, without adding staff to accomplish the job. 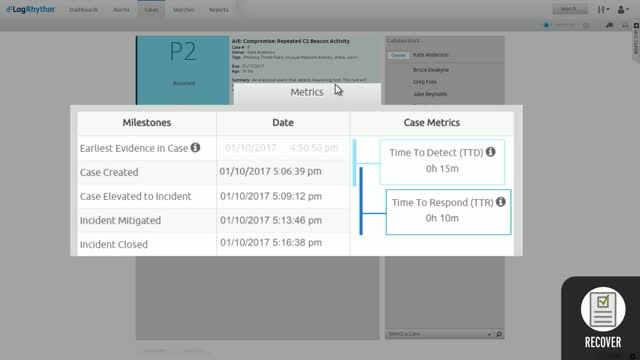 See how LogRhythm’s Threat Lifecycle Management Platform can help your team sort through the noise to quickly discover and neutralize concerning incidents.